Maid Brigade’s Fountain Hills, AZ maid service knows that “a clean home is a happy home.” However, a happy home should also be safe and relaxing. That’s where we come in -- we’re a cleaning company that believes in safe environments for our customers and their families. Green cleaning is a commitment from our family to yours. The only thing we leave behind is a sparkling clean! Give us a call today, and we’ll work together to reduce the stress of home cleaning and on your schedule. Living in a town celebrated for its arts and outdoor activities, dusting drapes, mopping floors, and sanitizing surfaces aren’t exactly ideal ways to spend an afternoon. 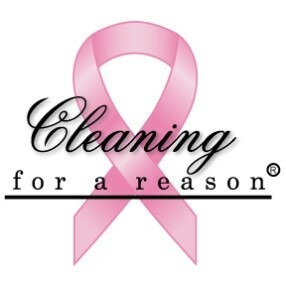 Our maids understand that your time is valuable, so we’re always ready and willing to take over your cleaning duties. Use that time saved to participate in an oil painting class at the recreation center or take the kids to Golden Eagle Park for a little softball. Call us today at 602-493-1333 and learn how we can help! We understand that hiring a cleaning service can be nerve-wracking. Perhaps it’s the thought of someone new in your home or just the fact that another person isn’t cleaning your way. Cast the uneasiness aside -- Maid Brigade’s staff is carefully screened, highly trained, and bonded & insured prior to setting foot in your home. Any special needs? Just let us know. We believe in working with you and gladly cater to special requests! Maid Brigade is Green Clean Certified® which means our teams focus on making sure your indoor environment is as safe as possible. We steer clear of products that may be harmful to your health and decrease cross-contamination from room to room by using color-coded microfiber cloths. Our maids bring vacuums that are recognized by the American Lung Association to improve indoor air quality. Our cleaning products reduce the amount of harmful toxins left behind by traditional cleaners. These steps and more are designed to benefit the health and safety of our customers, their families (two- and four-legged), and our employees. We care about you! Ready to leave the bed-making, dusting, and sweeping to someone else? It’s time for you to start enjoying the picturesque Arizona landscape and public art around Fountain Hills while we brave the indoors and tackle your cleaning needs. Contact Maid Brigade at 602-493-1333 without delay and let us start working for you!